Unmistakably sweet and creamy with a taste of vanilla, particularly popular with the temperance youths in the 1920’s and 30’s. You’ll soon fall in love as you’re transported to a simpler time, believed to calm the nerves and restore a sense of tranquillity! 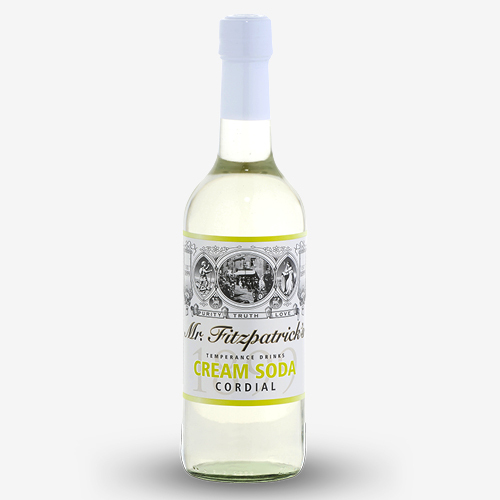 Our Cream Soda contains vanilla which etymologically speaking comes from the Spanish word ‘Vainilla’ or ‘little pod’ and is the second most expensive spice after Saffron. Vanilla is believed to have been introduced to Europeans by the Spanish conquistador Herman Cortes.